The Original Sea Kayak by Heirloom Kayak is the fist boat built by the artist. Robert built this boat from 100% cedar in a simple but elegant patter. 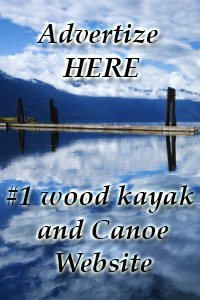 This boat is a fantastic all around paddler with enough maneuverability and speed to please any experienced kayaker. 18 ft long with 22 inch beam. Soft chin for clean entry and lower drag. Front and Rear hatches for dry storage.